Flowering Flourish from Stampin Up! I had a Stampin Up! delivery today, and in the box was the gorgeous Flowering Flourishes stamp set, which I had had my eye on for some time. There are three stamps on the set, and this afternoon I had a play. 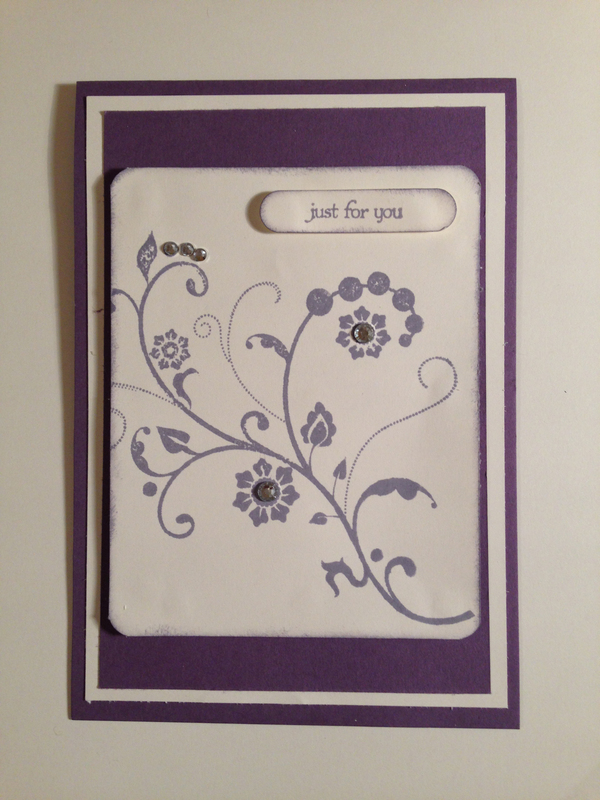 This is a tent fold card in Perfect Plum, matted with Very Vanilla cardstock. The image is stamped in Wisteria Wonder ink and then finished with rhinestones for a bit of bling. Simple and pretty. To make the card you will need.